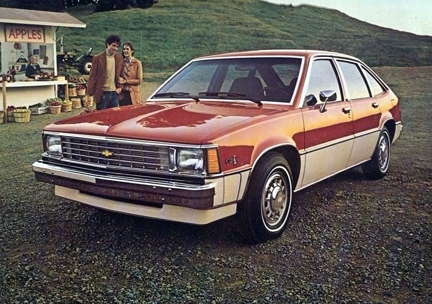 I remember when the Chevy Citation was introduced by General Motors in 1980. 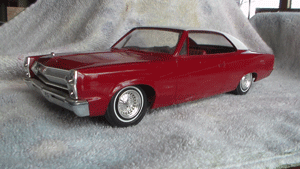 This X-body car was Chevy‘s front wheel drive car. 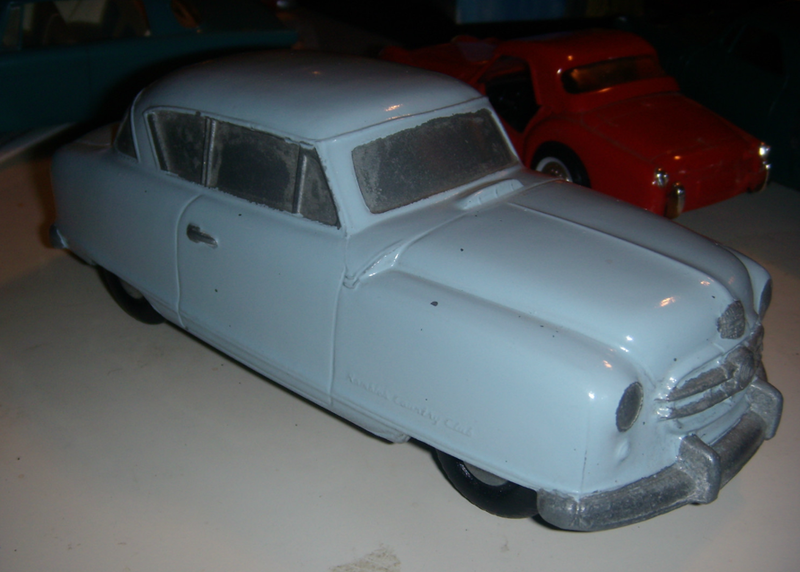 Because of the transverse mounted engine, no transmission hump, it had tons of interior space. My experience comes from working at two TV stations where the news department bought entire fleets of Citations. Those entire fleets sometimes spent more time in the shop than gathering the news. I was on a trip from Green Bay to Indianapolis to cover the 500, and on our way back, the clutch gave out just south of Chicago. So it was rush hour, on a Friday, a tow truck comes along, cha-ching, a couple hundred bucks, then tows us to a transmission shop, cha-ching, more hundred bucks. Luckily the shop had a hotel right across from it because we were going to have to stay overnight. So when I get back, this is good, you’ll like this, I hand in my expense account in and the bean counter questions the towing charge, ah, hello, you don’t make deals with tow trucks on the Illinois Tollway at rush hour, and then about the bill for the new clutch. So again, hello, no clutch, no car, so were my photographer and I supposed to push the car from shop to shop? Jeez, these guys. Don’t they know that sometimes you’re in a situation where there is no cheap? Kind of got off topic there, back to the Citation. 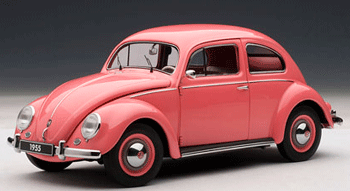 It was built to try to fight back the Japanese cars like the Honda Accord, still alive and kicking, and the Volkswagen Dasher, not around anymore. The Citation had through the roof sales its first year and the production lines were unable to keep up with the demand, causing huge delays in delivery to customers, some waiting nine months to receive their vehicle. Can you believe waiting nine months for a car? Well maybe a special one but not this one. First-year sales were more than 800,000, good enough for No. 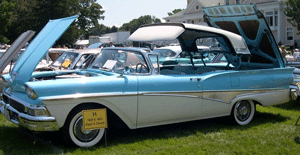 1 among cars sold in the United States. Car and Driver magazine named the Citation their 1980 Car of the Year but there was skullduggery a foot. 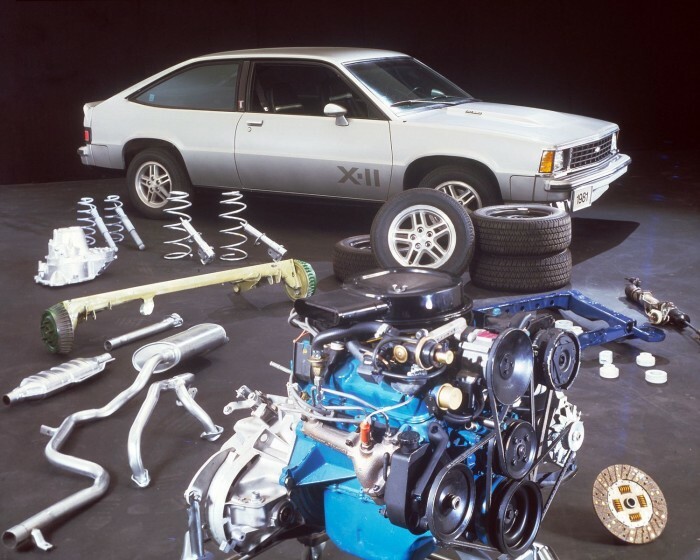 Turns out that GM provided the writers with specially modified versions of the X-body vehicles in which the often noted torque steer (famous for) had been engineered out. Patrick Bedard of Car and Driver later admitted that they were completely surprised when they later drove a production version. In an article in 2009, the magazine put the Citation on their 10 Most Embarrassing Award Winners in Automotive History list. 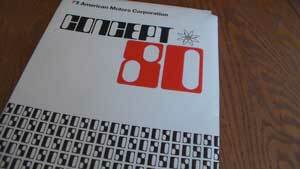 What a surprise, the 1983 AMC/Renault Alliance was also on the take back list. Go figure. 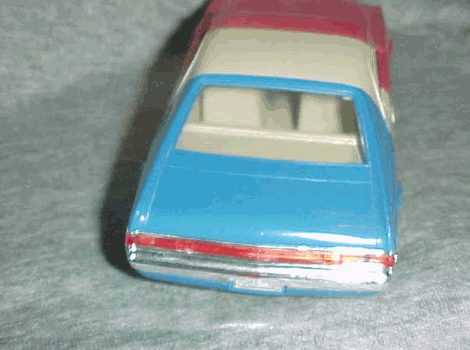 The reason it made the list was, because like so many other cars of that era (including AMC), were built crappy. Citation owners were having trim bits fall off in their hands, hearing their transmissions groan and seize, and the cars started rusting in a very short time. 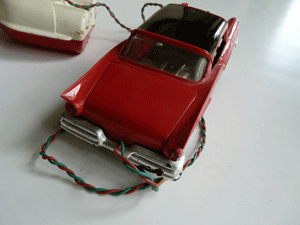 At times it seemed the suspension in some X-cars wasn’t even bolted in correctly. 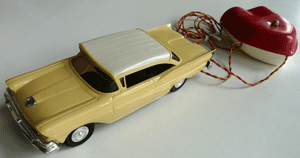 Because of an on-center dead spot in the steering, the ride motions grew funkier and funkier. GM tried to save the train wreck by introducing the Citation II along with the performance-enhanced Citation X-11. 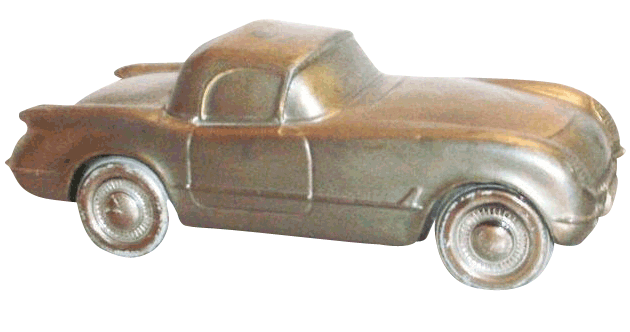 Chevrolet wanted to remind the car buying public that this front wheel drive newcomer was made by the same people as the Corvette and Camaro. It actually won at SCCA events running in the Showroom Stock B class. Bob McConnell drove a 1981 X-11 to SSB National Championships in 1982 and 1984. Of the 1.64 million Citation models built between 1979 and 1985, only 20,574 were in X-11 trim, meaning that surviving examples are a rare sight today. 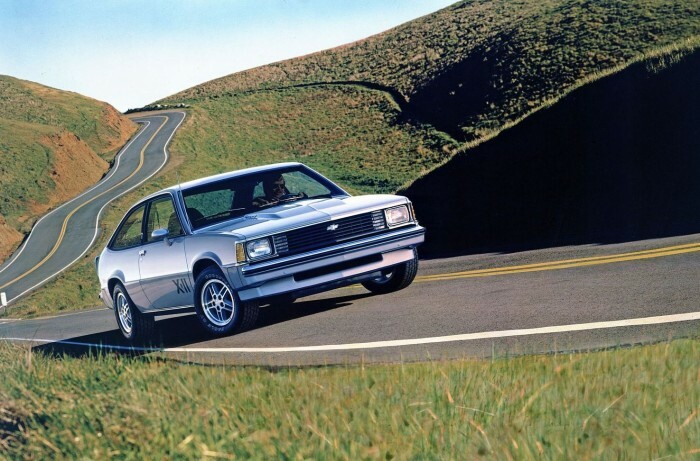 GM dropped the Citation, and it’s other X-body siblings, after the 1985 model year, ultimately replaced by the L-body Beretta coupe and Corsica sedan in 1987. Better, sort of. This is a familiar car story from the 80’s, a ground-breaking car that never lived up to its billing. 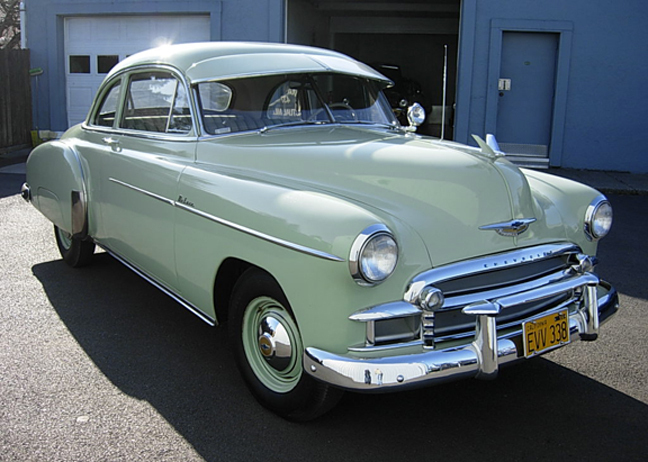 You have to wonder had the cars, GM’s or the other manufacturers, displayed both the initial build quality and lasting reliability of the Japanese competition, the automotive world might be very different today. 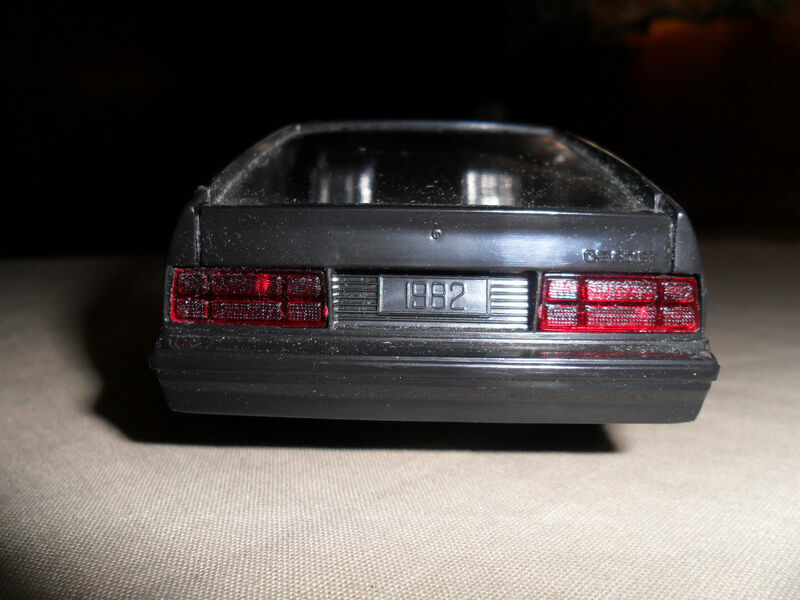 So I found this black one, an ’82, which is pretty good shape for being over 30 years old. Some minor scratches but otherwise everything was good but has little value, around 20 bucks. I suppose somebody might buy it to remind them of their time waiting in the shop. Then I found this Citation, probably a kit, and got a laugh. This guy probably hung around at the junk yards a lot. I know, I know, I’m an AMC guy so shouldn’t be throwing stones. AMC needed to get its dealer’s involved and hosted a dealer event in Denver. I remember this because my dad had talked about it when he worked there. 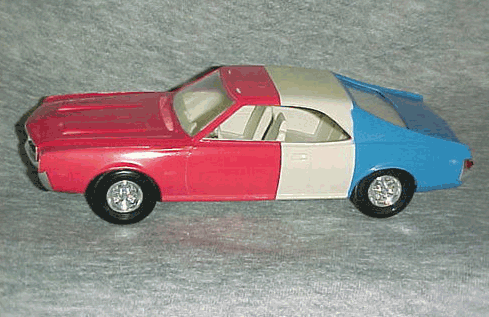 They gave the dealers this base white ’68 Javelin and added red and blue similar to the cars that were racing. If you look closely, they didn’t spend a lot of time in the masking department. 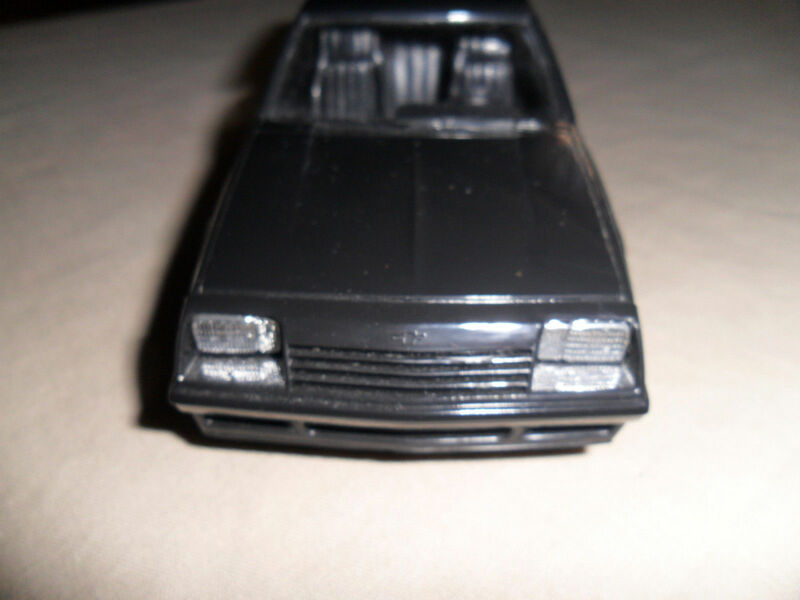 Like the real deal, these promo models now are had to find, especially in good condition. 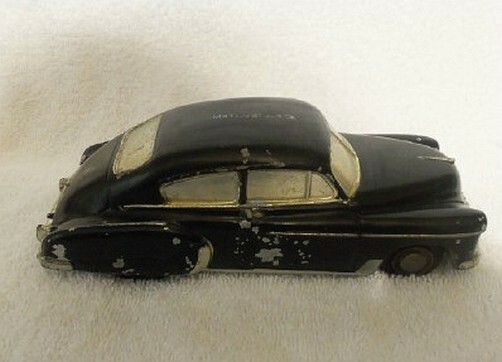 I found this one on eBay recently sold for $177. The price due at least partially to the paint rubbed off. I have seen these go for $250 at swap meets. Back to the real deal. For 1968 to get a red, white, and blue Jav you would order a white one and the dealer would take care of painting the red and blue. These are hard to find and if you do stumble upon one, most likely they are a clone as it was easy to do. 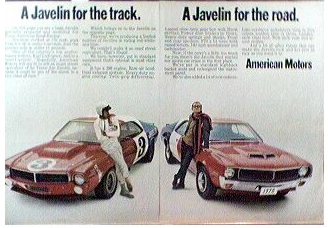 While ’68 was a great year for the Javelins in the Trans-Am series, ’69 kind of stunk and AMC didn’t like that. So they went to Roger Penske with pretty much a blank check and said make us win. Penske wasn’t really getting paid anything from Chevy so this was a great deal and the winning would come, due mostly to the driving of Mark Donahue. So on to 1970 with Penske/Donahue. 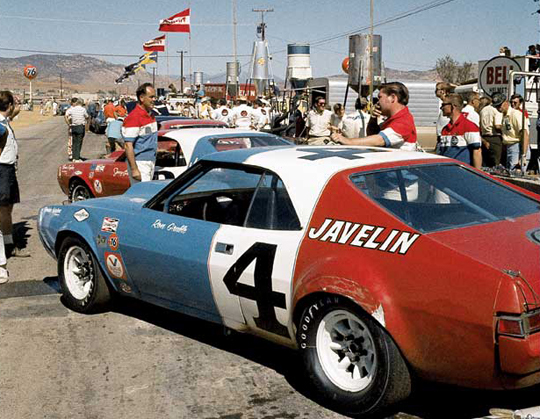 This limited edition Trans-Am Javelin was introduced in time to promote the 1970 SCCA Trans-Am Season. 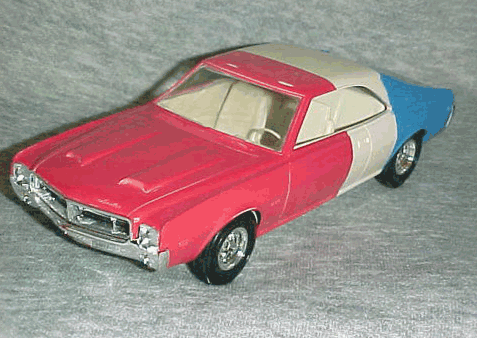 Only 100 limited edition units were manufactured at AMC’s Kenosha plant, pulled from the standard production line and painted in factory Red, White & Blue to replicate the Javelin Racing team colors. 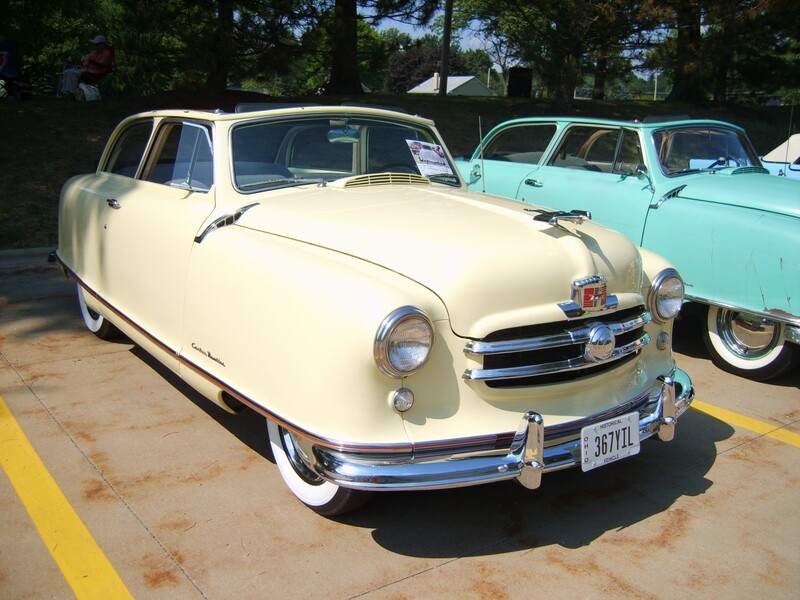 They featured a high-performance 390 with factory ram-air induction, along with other fast stuff. It also included a custom Trans-Am homologated front cow-catcher and a rear adjustable “air-foil” style spoiler. 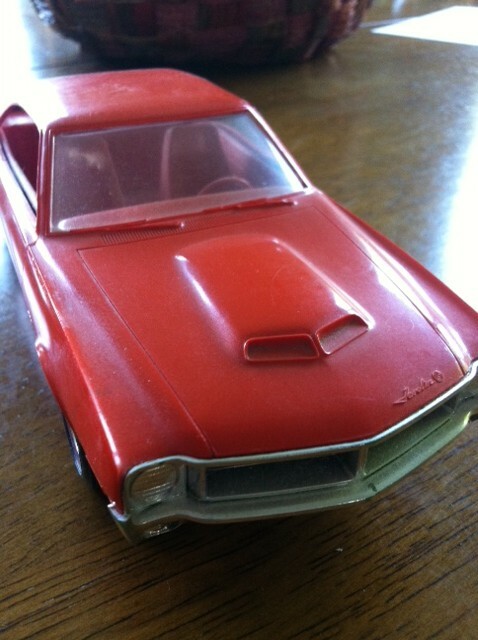 Only 30+ of the original 100 cars have been discovered and are currently registered through the Trans-Am Javelin Registry. 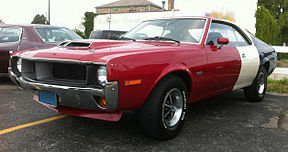 Johan did produce a 1970 Javelin, like this one I have but to my knowledge only the ’68 was done in red, white, and blue. OK, yup I’m an AMC guy but this era was one of the best in racing history and while the read deal, according to Hagerty, will cost you about 25 grand, and good luck getting the owner to part with it. This replica pops up on eBay and you can get it for a whole lot less.